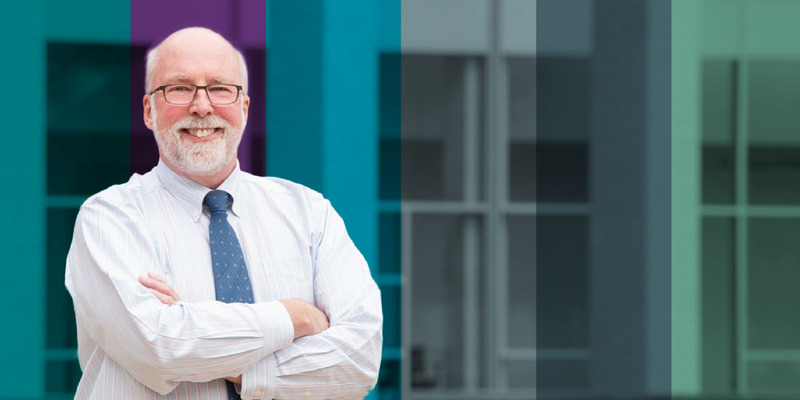 Throughout his 32 years in higher education, Stephen “Steve” Hannabury, the 2017 Distinguished Business Officer Award recipient, has excelled in finding effective ways to resolve challenges. Business Officer interviewed Hannabury, who received the 2017 Distinguished Business Officer Award—NACUBO’s most prestigious award that honors and recognizes chief business officers who have made outstanding contributions to business and financial management in higher education. Read interviews of other 2017 NACUBO award winners in upcoming issues of the magazine. You were Olin’s fourth employee, back when there were no students, no campus, no curriculum, and no financial controls. What was your first priority? Attracting the best people to join our team. Honestly, we expected that to be a challenge since the potential candidates would likely be leaving secure positions in established colleges and universities. Joining a startup venture was a leap of faith. It would not appeal to those who are risk-averse. Once we brought people on board and started moving forward, we all had to adjust our mindsets to working in a true startup environment, instead of an institution that had long-established programs, polices, and procedures. Everything had to be created from scratch. Things we would have taken for granted elsewhere didn’t exist at Olin. For example, I remember sitting in my office one day and hearing a lot of cheering and congratulations from down the hall. It turns out that one of our employees had just announced she was pregnant. After congratulating her, I immediately returned to my computer and started typing out a maternity leave policy. We didn’t even have a staff manual. Let’s talk about the progression of your career from 1999 to today. Name a career highlight along the way. Olin’s president, Rick Miller, who was employee No. 1, took a chance in hiring me as the CFO, since I had no prior experience in that role at an institutional level. In my nearly 15 years at Boston University, I had served as the financial and business officer at the unit or college level, but I didn’t know a lot about running an entire institution. However, Olin needed someone to manage the design and construction of a new campus, and I had helped manage the design and construction of BU’s new school of management building, and had a background in civil engineering. My first major achievement was the Olin campus construction process. We purchased about 75 acres of mostly wooded land from Babson College. Not only did we need to design and build the four major buildings that were in the first phase of the project, but we also had to build the entire campus infrastructure—roadways, parking, utilities, and so on. Since we were adding staff—and eventually faculty and student partners—we also had to create a temporary campus, which I did by designing and leasing temporary modular buildings, and converting to offices a few single-family homes on the land we purchased. My first office was in the garage of one of the houses. We completed the first phase of campus construction in time to welcome our first class of students in September 2002. So your institution went three years without students? In the 2001–02 academic year, we recruited 30 high school graduates to come to Olin and spend the year working with us. We called them Olin Partners. They didn’t receive any credit, but they worked with faculty and staff to design the curriculum and student life program. They then became members of the first official class in September 2002. When the 2008 recession hit, you worked through a number of financial models until finding one that fit your unique institution. How did the model change? In founding the college, the goal was to attract more undergraduate students to study engineering and to reward their high school academic achievements. 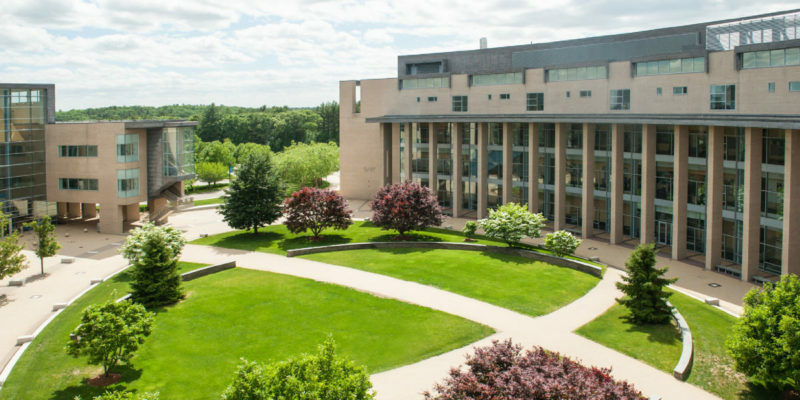 At that time, all students enrolled at Olin received a merit scholarship equal to full tuition, so the college had no tuition revenue and depended substantially on the endowment for the operating funds. They all received free tuition, but we didn’t call it that. The students got a bill with the tuition fee on it, but the fee was completely offset by the scholarship. What is the case today? As happened with all endowments during the financial crisis, our endowment was significantly impacted. The value of our endowment peaked in December 2007, at just over $500 million. By March 2009, the value had declined by 38 percent. As we were experiencing those declines, we realized that it was very unlikely we could sustain our current financial model. In conjunction with an ad hoc financial sustainability committee of the board of trustees, we began exploring numerous alternatives. At the same time we were modeling different scenarios, we tried to keep our community informed and involved. The president and I initiated a series of regular, open town meetings with all faculty, staff, and students invited to attend. We were open about the financial challenges facing the college and the options we were exploring. We also reached out to the parents and alumni. We ultimately decided that the top priority was to maintain the quality of the college’s programs, faculty, students, and staff. We were off to a good start and we didn’t want to backtrack. To do that, we were forced to reduce the scholarship from covering full tuition to covering 50 percent—still a generous scholarship but not what we originally intended. We did maintain our commitment to the current students, who retained the full tuition scholarship for the duration of their program. How did that reduction influence enrollment numbers? We took a bit of a dip in the number of applications initially. During the period of analysis, we were recruiting students who received materials indicating that they would receive a full scholarship. Then we changed it to say, “You’ll get a big scholarship,” because we didn’t know what it was going to be. Finally, fairly late in the recruiting cycle, we said they would get 50 percent. The number of applications declined, but we accepted a few more students that year. We actually ended up with the largest class ever, because the yield didn’t go down as much as we thought it would. Within a year or two, all mention of the full scholarship had faded from external websites and publications. Now demand is far beyond what it was before the crisis. When should business officers change financial models? We faced a very serious threat. We did not have much choice. Had we not changed our model we might not be in business. That’s one time when an institution should consider change. Another time might be when an institution has the chance to pursue a wonderful opportunity. One of your letters of recommen-dation for NACUBO’s Distinguished Business Officer Award indicates that you can solve problems “for which playbooks do not exist.” Give us an example of that ability. I’ve been fortunate to be a leader in two startups: both Olin College and EdHealth. There were no manuals or playbooks for starting a college or creating a health insurance organization. In both cases, we had lofty goals, which required creative, out-of-the box thinking. How did you become involved in EdHealth? Through The Boston Consortium for Higher Education, a CFO-led association, the goal of which is to facilitate processes to enable colleges and universities to collaborate in financial and operational areas. Back in 2009, TBC members were all facing increasingly steep medical premiums. To address the problem, we decided to create what is essentially a medical insurance company. We worked for about four years to design and launch EdHealth as a legal entity separate from TBC. My president and the board were completely supportive because they knew if EdHealth succeeded, Olin and our employees would benefit. Has that happened? And how did EdHealth perform? This is a member-owned organization. We’re not out to make a profit. There’s no profit margin built in. The strength in numbers by aggregating all the employees and dependents gives us purchasing power. When your assistant’s son was hospitalized, you gave her two weeks of your vacation time so that she would receive a paycheck. Is that a normal procedure? She was going through a tough time with her son, who had very serious back problems, and she was spending days on end in the hospital. I offered it to her so that she would get paid. It wasn’t a normal procedure, but it did lead to Olin creating a program that is now in place in which a staff member can donate accrued sick time to a pool. If staff members have extenuating circumstances, they can make a request to draw from the pool. People have been very generous in donating their sick time. So you were a trendsetter. I guess, but that wasn’t what I was trying to do. I was just trying to help a colleague. The most common mistake CBOs make when collaborating is: Concentrating on what is in it for them or their own institution, instead of focusing on what’s best for the group. You may have to give up a little something in collaboration, but, in the long run, what the group does will be better than what you could do for yourself. When hiring a new employee, I always: Trust my gut. Especially in a small institution, a new employee must be a good addition to the team. Technical skills are important, but the fit is critical. My workplace pet peeve is: People arriving late for meetings. When undertaking a new project: I try to assemble a good team and empower participants to move forward. My day isn’t complete until: I make the last check of e-mail before bed to be sure all is well on campus. Sad, isn’t it? When working with academic leaders, we need to remember: We may have different daily priorities, but we’re all in it together. They have the same institutional goals as we do and their own set of challenges. People would be surprised to learn that: I’m a lousy swimmer, even though I’ve been a competitive sailor for most of my life. My goals while racing a sailboat are to win the race and not fall overboard.